 The success of Tarzan Finds a Son! (1939) inspired MGM to sign Weissmuller to a new seven-year contract, despite the fact that Edgar Rice Burroughs, Tarzan's creator, vowed that Metro would not acquire any new rights beyond the two they had left. Scriptwriter Cyril Hume was still keen to pursue his idea to kill off Jane (see the Tarzan Finds a Son!page) but the MGM executives would not hear of it and Hume was replaced by Myles Connolly and Paul Gangelin. Shooting began in June 1941 and was completed within eight weeks for a cost of almost one million dollars. 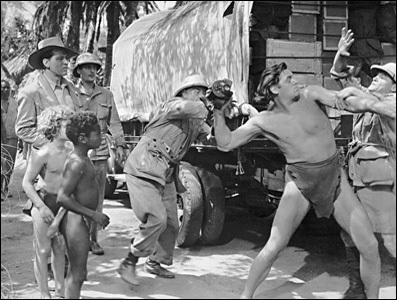 Budgets had been cut following the death of Irving Thalberg and a lot of stock shots from Tarzan Escapes (1936) were used, along with the crocodile fight scene from Tarzan and His Mate (1934) (for the third time). Weissmuller was now 36 and wasn't quite as lean as he had been in the first MGM films he had made almost a decade earlier. Fury points out that 30-year-old Maureen O'Sullivan, however, "was at the peak in all her feminine ways". (Essoe, Fury & St Andrews) Read the full story at Geoff St Andrews Tarzan's Secret Treasure page.  Tarzan, Jane and Boy meet up with some white explorers on safari searching for a lost city. 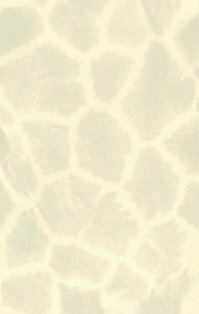 Two of the party are overtaken with greed when they notice that Boy uses chunks of gold in his slingshot, especially when Boy tells them that Tarzan knows where there is a whole mountain of gold. Also in the party is a jovial Irishman named O'Doul who becomes fond of Tarzan. Boy is persuaded to help them find the gold when Jane explains to him all of the things it could buy him in civilisation. Medford and Vandermeer kidnap Jane and Boy and force Tarzan to take them to the mountain of gold, where Tarzan is knocked unconscious when Medford severs his vine with a bullet while swinging across a gorge. 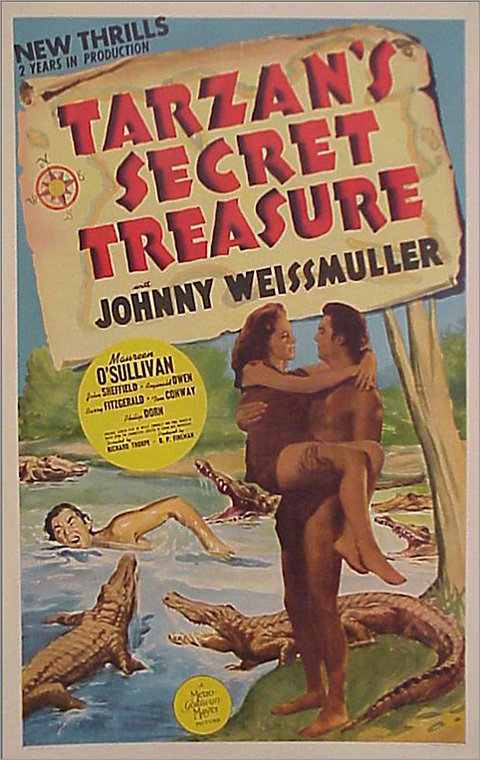 The escaping gold thieves, along with Jane and Boy are captured by the savage Joconi tribe. Tumbo, a young native who has befriended Boy, revives Tarzan who overtakes the Joconis in the river and overturns their canoes. Jane and Boy are saved but the crocodiles get Medford and Vandermeer. Tarzan and Jane give O'Doul a basket of gold as a farewell present to take back home.